Meet Me in DC. The dates have changed, so see this article. This is the ONLY official event for Lawless America in Washington, DC in 2013 -- February 5-6, 2013. 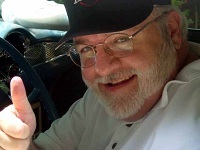 Bill Windsor has been traveling the United States to gather information about corruption within this country. He has filmed victims of government and judicial corruption in every state in a 173-day road trip. The movie has become a revolution...The Lawless America Revolution. Please join our efforts by attending this event in Washington, DC on February 5-6, 2013. 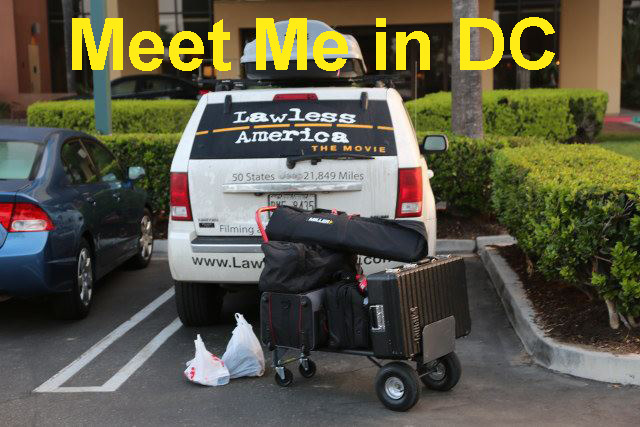 Lawless America...The Movie is filming victims of judicial corruption and government corruption all across America. The movie is being filmed in every state, including visits to every state capital The 50-state movie road trip began on June 14, 2012 and lasts for 174 days. The pandemic of government corruption is being exposed for the world to see while whistleblowers are banding together in an effort to save America. This is much more than a movie; this is a movement. The success of this movement is essential if our children and grandchildren are to have happy lives in a country that provides freedom and justice. To see the daily developments, www.facebook.com/lawlessamerica and www.youtube.com/lawlessamerica are the best sources. Lawless America...The Movie is all about exposing the fact that we now live in Lawless America. We no longer have laws that are enforced because judges, law enforcement, and government officials do whatever they want to do. America has become lawless because government officials are dishonest and/or corrupt. The movie is exposing corruption in every state. The Movie is focusing on victims. Corrupt judges and corrupt government officials are being exposed, and the movie will confront a number of the crooks. Lawless America...The Movie is giving a voice to the voiceless -- a voice to those who have had nothing but silent screams before now. Brave people are stepping forward to speak out. One feature length documentary movie is being produced. It will be shown in theaters, on Netflix, Blockbuster, and other such video places, and the movie will be presented at film festivals such as the Sundance Film Festival. In addition, videos will be produced for each state and for each type of corruption. Everyone who is interviewed for the film is recording a three-minute segment that will be done as testimony to Congress as well as a 30-45 minute on-camera interview with Bill Windsor, founder of LawlessAmerica.com and GRIP, and candidate for the U.S. House of Representatives. The legislators in each state will receive the testimony from those in their state, and the members of the U.S. House and Senate will receive all of the testimony nationwide. Bill Windsor has asked everyone to "Meet Me in DC" on January 9, 2013 to present the testimony to every member of the House and Senate. Over 750 people were scheduled to be interviewed for the movie when the trip began. The list now tops 1,700 with new requests coming in daily. We will continue to accept as many requests as possible. In addition, Bill Windsor is working with an agent to hopefully get a weekly TV series that will expose even more corruption. Bill wants to film every victim in America who is willing to be filmed. The 50-state road trip was originally planned to take 143 days, but it was expanded to 174. Here is the itinerary for Lawless America...the Movie. The road trip started in Atlanta, headed North and has traveled counterclockwise around the country. Bill will then fly to Alaksa and Hawaii after he circles gthe Continental United States. Most filming is being done in the state capital city. For those who are unable to travel to the capital or one of the other designated cities, you can still appear in the videos by recording your own video or by being interviewed on camera by Bill Windsor using a webcam and Skype or Livestream. Webcams are available on loan to those who need one for their interview. It is our plan that this movie will educate many, many people about the reality that America is broken. We will expose many corrupt judges and government officials. We hope to generate a lot of publicity about corruption that the mainstream media usually hides from the public. We are delivering proposed judicial reform legislation to the governor and legislators at each state Capitol.